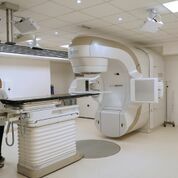 London-based Vision RT has developed a guidance system for radiotherapy that helps doctors target cancerous tumours with pinpoint accuracy, reducing harmful collateral damage during treatment. The company’s AlignRT system can also eliminate the need for patients to have their skin tattooed as part of treatment, meaning cancer survivors will no longer need to carry this visual reminder of their cancer. Almost half the population will develop cancer at some time in their lives, and around half of all cancer patients require radiotherapy as part of their treatment. Radiotherapy works by using high-energy X-rays to kill cancerous cells. However, it can also harm any healthy cells that are exposed to the radiation beam, which means accuracy is vital. The challenges are particularly significant in treating patients for breast cancer on the left side, as this is close to the heart. The AlignRT system monitors the patient’s body surface with an accuracy of <1mm, using 3D camera units situated over 2m away from the patient. These detect even slight movements of the patient, in which case the radiation is stopped automatically. AlignRT also improves patient comfort and speeds up positioning prior to treatment, freeing up valuable time on radiotherapy machines. Jacqui Dorney, UK specialist services lead at GenesisCare, said: “We first tried AlignRT as a replacement to our existing systems for breast cancer care in our Nottingham centre. “Every single patient preferred it, and we have now eliminated the use of tattoos there, not just for breast patients, but also for treatment of other body sites. 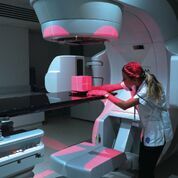 For left breast cancer patients undergoing radiotherapy, UK guidelines currently recommend a breath-holding technique to avoid the irradiation of the heart. However, natural variations in position between breaths make this technique difficult to implement reliably. “By continuously monitoring the body surface, AlignRT constantly ensures the right position is maintained. “This helps patients to feel in control and safe in the knowledge that the beam will automatically cut off should they move to the wrong position. “Because of this, AlignRT helps make treatments safer and more comfortable, and reduces the time required for treatments and patient training. 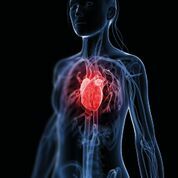 Evidence of AlignRT’s ability to protect left breast cancer patients has been demonstrated in a recent study, which showed that 0% of patients treated with the assistance of AlignRT showed damage to their heart’s blood supply after six months. A previous trial had shown that 27% of those treated with conventional radiotherapy had damage after six months. Vision RT began in an attic in 2001 and has gone on to pioneer Surface Guided Radiation Therapy (SGRT). From the first prototype system deployed at the Royal Marsden Hospital in 2002, nearly 1,000 systems have now been sold. AlignRT now has regulatory approval in 34 countries, and today all the top five ‘Best Hospitals for Cancer’ in the USA have the system. In the UK, AlignRT is currently available in around a third of all private clinics and the NHS in some areas. Engineering the AlignRT system involved designing every single element from scratch, from the electronics within their 3D cameras to the projector, the software behind the user interface, and the algorithms that calculate the positioning points.